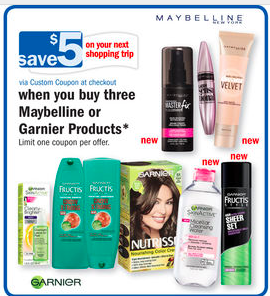 This week wyb 3 Maybelline or Garnier products you get back a $5 catalina to spend on your next order. 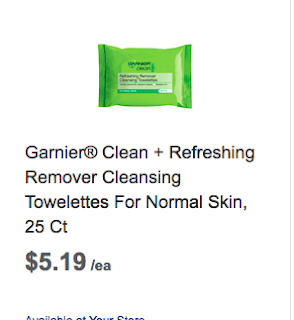 I use these daily and under $1 is my stock up price! Final Cost: $0.52 each wyb 3!